On March 7, 1974, the Monastero family, owners of Monastero's Ristorante in Chicago, Illinois sponsored a contest evening for voice students from Northwestern University. The singers were required to learn Italian operatic arias and romantic songs and the contest, which followed a gourmet Italian dinner, featured a prize of of $1,000.00 offered by the Monastero family. 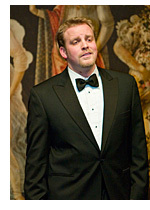 Ardis Krainik, the late director of the Lyric Opera of Chicago, was the judge. That first evening was a great success and was followed by another contest in 1975 which attracted widespread support from those who attended until, through popular demand, the Bel Canto Foundation was established on November 28, 1976. 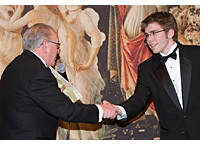 The annual Bel Canto Foundation Opera Contest Evenings offer a unique opportunity to young singers between the ages of 17 to 32 to compete for over $40,000 awarded in monetary prizes, numerous performance opportunities, plus one Grand Prize Winner who receives an all-expenses paid trip to Italy for study with Maestro Carlo Bergonzi, which has a value of $9,000. The contest encourages young singers to learn Italian operatic and romantic repertoire and winners are judges upon authentic interpretation of arias, proper Italian diction, correct vocal production and overall stage presentation. Most remarkable is the fact that the majority of the financial support of the foundation comes from $25 to $1000 donations. All of the money goes to the singers as the foundation incurs no administrative costs, all work is volunteered. From 1974 to 1981, the Grand Prize Winners of the contest were sent to study with the legendary baritone Tito Gobbi in a 6 week opera workshop held in Florence, Italy. Following Maestro Gobbi's retirement in 1982, the Bel Canto Foundation established an opera seminar at Hotel I Due Foscari in Busseto, Italy in 1983, featuring the outstanding teaching talents of tenor Carlo Bergonzi and soprano Renata Tebaldi. 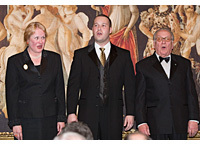 Participation in the seminar was opened to all American singers and it was held annually through 1988. The Rouse Company joined forces with the foundation from 1988-1994, through its "Arts in the Marketplace" program, and proceeded to hold contests in their shopping malls across the United States with judges from the Bel Canto Foundation choosing the winners. In 1989 the seminar was moved south to Siena, Italy and Maestro Walter Baracchi, the highly revered vocal coach from LaScala became the artistic Director. The Gulf War Crisis of 1991 prompted the Board of Directors to move the seminar to the United States. Dean Bernard Dobroski of the Northwestern University School of Music, located in Evanston, Illinois, became gracious host to the seminar, offering the use of Northwestern University's beautiful facilities. Maestro Bracchi continued as Artistic Director until 1992 and the great bass-baritone Giorgio Tozzi assumed the role of Artistic Director in 1993 and was joined by soprano Martina Arroyo in 1994. The 1995 and 1996 Grand Prize Winners were sent to participate in Maestro Carlo Bergonzi's opera seminar held at the famed Chigiana Institute of Music in Siena, Italy. From 1997 to 2006, the Grand Prize Winner was sent to study for eight weeks in the Accademia Verdiana under Maestro Carlo Bergonzi in Busseto, Italy. 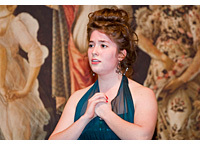 Since 2007, the Bel Canto Foundation Grand Prize Winner has been awarded a cash prize of $10,000.00 to use towards furthering their education and/or operatic career. The Bel Canto Foundation has presented many wonderful concerts, including performances of Verdi's "Requiem" and Puccini's "La Boheme". 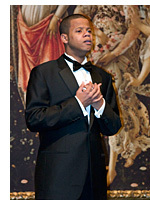 All singers who participate in the annual contest benefit, for each singer is awarded a financial prize, even if not chosen to advance to the next level. A very active Board of Directors provides great support to the singers who pass through the contest by attending their performances and following their careers. 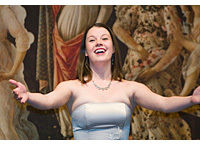 Former winners of the opera contest can be heard on major operatic stages throughout the world. You are invited to become a member thereby ensuring that opera stages will always have young singers who perform in the Bel Canto tradition, which translated literally, means "beautiful singing".